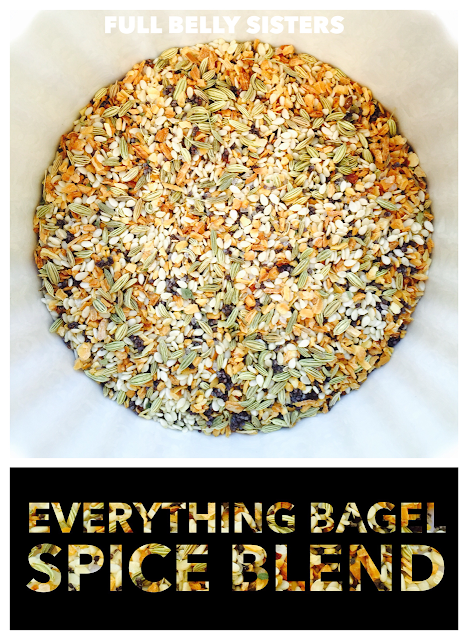 Have you ever had an everything bagel? Loaded with seeds, spices, and just the right kick of salt—these bagels are savory and delicious. As far as I'm concerned, everything bagels are EVERYTHING. The thing is, I don't eat bagels very much—they're a once-in-a-while treat for me. But now that I make my own Everything Bagel Spice Blend, I can enjoy the umami flavor in, well, everything! You can sprinkle it on homemade pretzels, in dips, on baked potatoes. 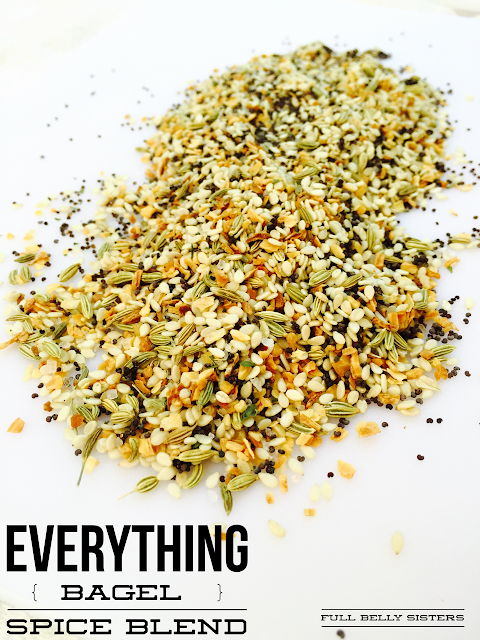 I will be sharing some of my favorite everything spice recipes, so stay tuned. My Everything Burger will be up tomorrow...mark your calenders, friends! (Just kidding. Sort of). Mix all ingredients in a small bowl. Store in an airtight container. You can store the mix on the counter or in a cabinet for a while; I keep it in my refrigerator, to ensure the seeds stay fresher longer (the fats in seeds make them more susceptible to turning rancid). A word about the fennel seeds: they're not included on most everything bagels. But they do lend a wonderful, warm flavor to this spice mix—especially when using it in meat dishes. I hope you try it! This mix adds loads of flavor to any dish, of course. But it also provides some healthy fats, protein, and minerals! Plus, it's a great way to broaden your kids' palates, so they are introduced to a variety of flavors and textures. 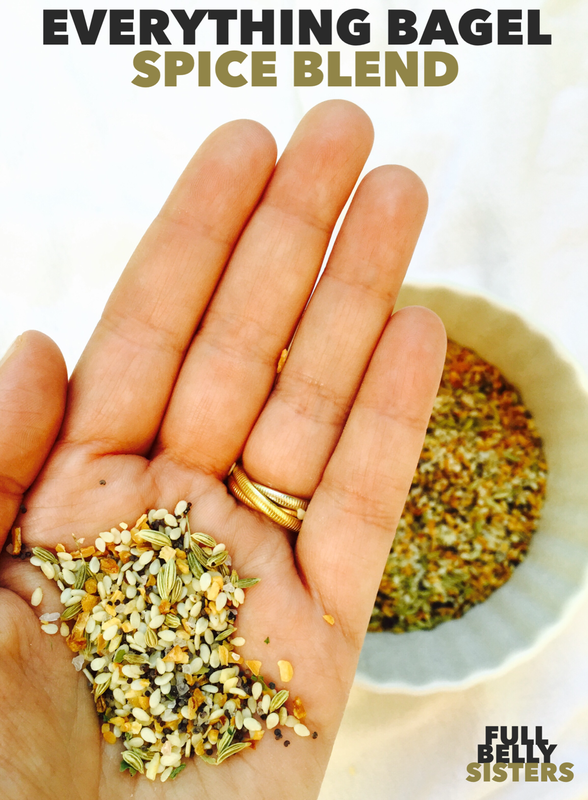 Where will you sprinkle this spice blend? A truly unique post. Now I need to learn to make bagels! What a unique and fantastic idea! Awesome recipe! I think it would be great on a nice steak.